Crisálida: Community Arts Project | Angels in America — Coachella style. Angels in America — Coachella style. 14 Sep Angels in America — Coachella style. 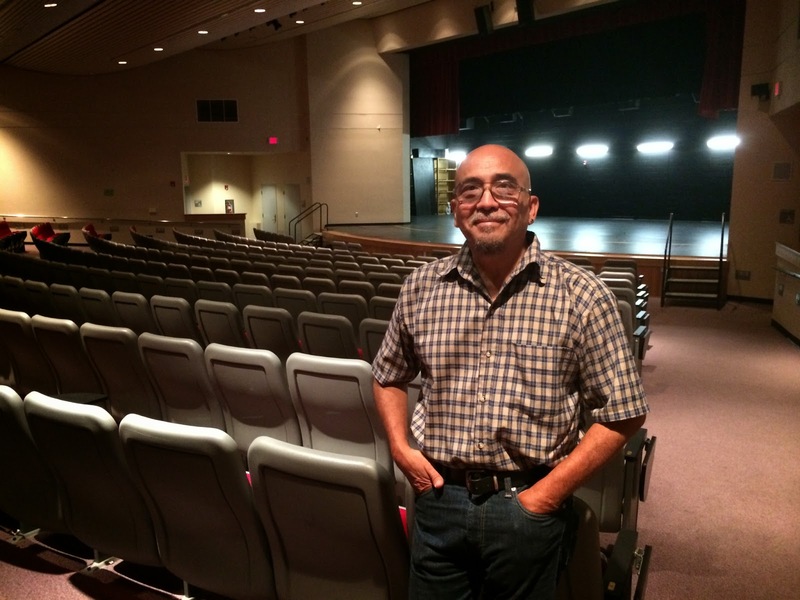 Meet playwright, actor, theater-maker, and long-time dedicated theater teacher Carlos Garcia. Carlos and I talked in the black box theater in Desert Mirage High School where he has taught for the past ten years. Carlos spoke to me about the challenges of being a Latino theater artist in a community that doesn’t seem to value theater, and especially theater that speaks in 3D matrix of bi-lingual wordsmithing — niether English, nor Spanish, but that multi-grounded/levitated textual space that reaches across the cultural divide of the mono-lingual monolith. He has a dream…to create a Latino Theater Company that creates, produces and performs bi-lingual theater that reaches the people of the Coachella Valley, and beyond to the bi-cultural communities that are a growing and vibrant reality in the US. To that end we cooked up a reading of his play, La Mala, that will be done in the coming weeks at the Coachella Valley Arts Center (see previous blog). We will do a table read of the multi-character play with a bi-lingual cast of readers, and an invited audience. A hearty discussion and dramaturgical session will follow. 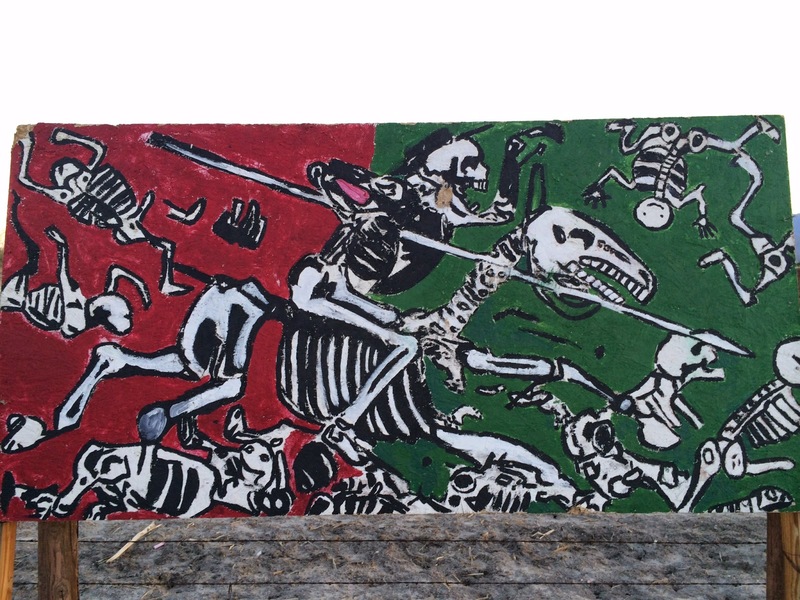 Please check in on this blog for updates. I will be giving performance workshops for the advanced theater students at Desert Mirage HS in the coming weeks — looking forward to that. 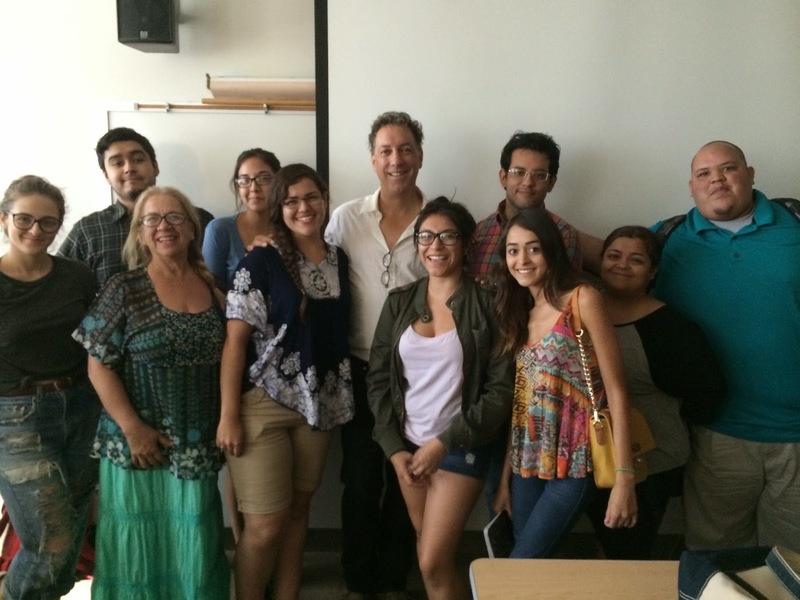 On Thursday afternoon I visited Jacalyn Garcia-Lopez’s Art History class in the brand new Indio Campus of College of the Desert. The lecture centered on the variety of ways that art “functions” with special attention given to Maxine Greene’s notion of “awakening”. I read some of my poetry, and showed clips of Butoh dancing and images from Hiroshima, I performed part of my rhymed-verse version of Sleeping Beauty and told the story of how I got into music therapy (Geraldo Rivera played a major role). The students were vivacious, curious and engaged. They said they would be happy to have me return. Got to say that the students’ curiosity got under my skin, in a very good way. Congrats to COD/Indio for giving these people a place to learn, and to Jacalyn Garcia-Lopez for making an intellectual and soulful space that welcomes them, and makes them want to inquire. How often do angels toss you a head of cabbage? 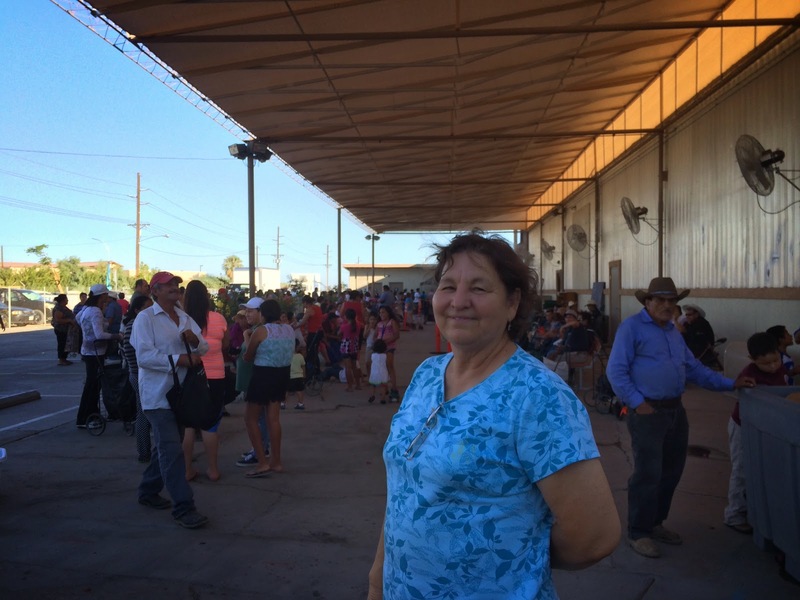 Rare, but possible, especially if you happen to drop into the Galilee Center in Mecca on a Thursday afternoon when the weekly food distribution pickup is about to open its doors to 900 needy people. Meet Gloria Gomez and Claudia Castrorena, spiritual sisters, and the powerhouse duo behind this booming organization that provides not only boxes of food, but counseling, housing help, medical support, a hip thrift shop, and many other much-needed things to the eastern most town in the Crisalida Project’s geographical area. 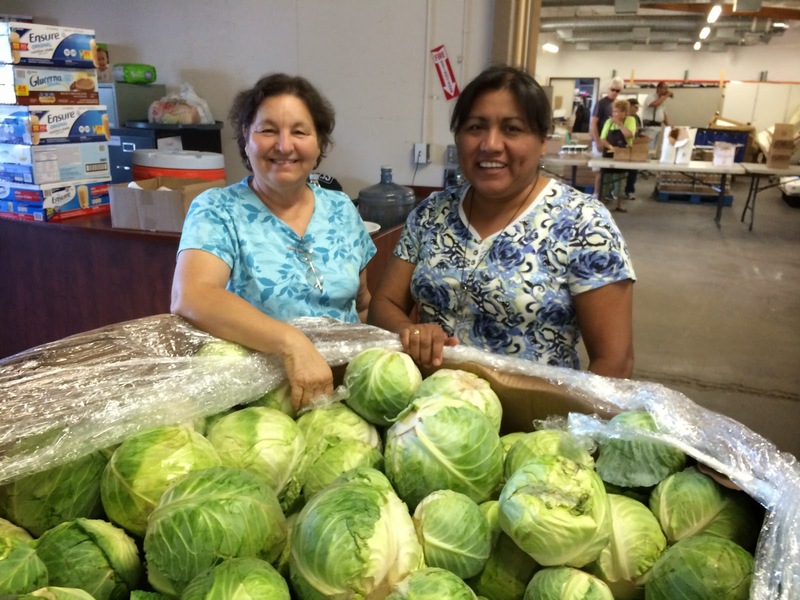 Gloria and Claudia started in Indio with five bucks and a wish to help the poor. The result was the thriving Martha Center, now running under its own steam, with new administration and a multi-million dollar budget, and bouyed by the everlasting imprint of its founders humble, serious, and deeply compassionate leadership. Several years ago they decided that they needed to bring their special brand of community work to the poor of Mecca, so once again with only five dollars they began soliciting donations, reaching out to the people, and convincing one person at a time that the impossible was indeed possible, that the most helpless could be helped, that there was hope, that there was food enough, that there were hands to carry, ears to listen, and a voice that would speak when their voices were ignored. 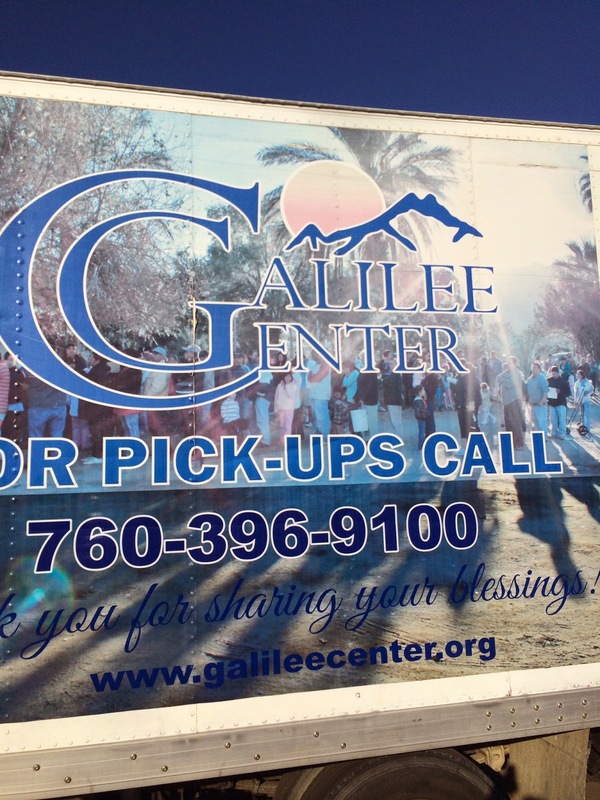 This is the side panel of one of the Galilee pick up vans that travel throughout the region retrieving donations. The strength of their vision was/is matched by the strength of their character and so the job gets done, one cabbage at a time, one box of food at a time, one hug at a time. 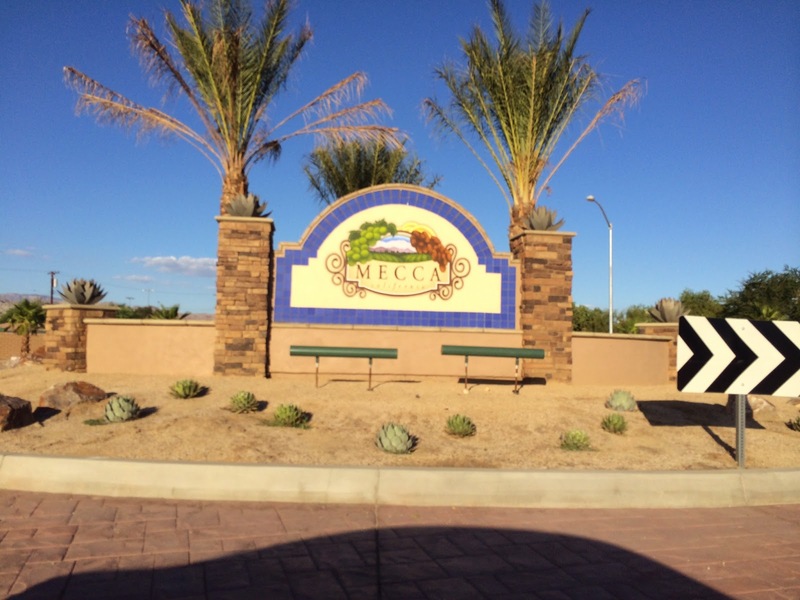 We talked about trying out a mobile concert stage on a Thursday afternoon in December, but first I want to volunteer on the food line, to learn more, but more importantly to be shoulder-to-shoulder with a couple of funky angels in Mecca. 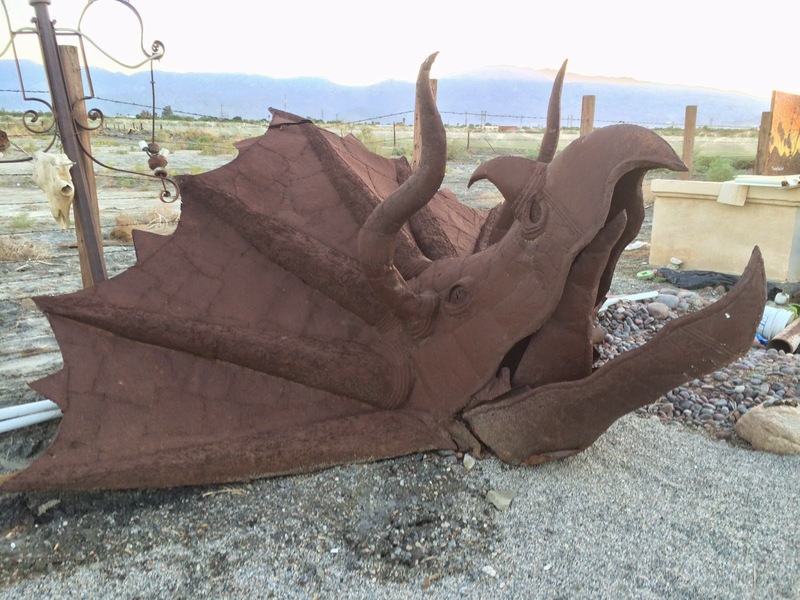 This giant dinosaur head is part of the welcoming committee that greeted me at the board of directors meeting for CULTURAS Music and Art, the Coachella arts non-profit responsible for the vastly successful Synergy Festival. My GPS had to have been going haywire, this endless strip of dusty empty land could not possibly be the location for the board meeting…there were a few houses, a couple of trailers, and one of those vast vistas that is equal parts terror and beauty. So I called and Oralia picked up, “Was that you in the silver car that just drove past?” “Yup.” “Well turn around and come on in.” You never know what lies behind an open door, or down a driveway. In this case it was the amazingly hip and inviting studio/art-space/performance-space/cafe/anything-can-happen place known as Cafe Tenochitlan, owned and operated by Ruben Gonzalez, and the meeting place of CULTURAS. The place is a marvel — think the outpost saloon in Star Wars meets an outsider art show — a place filled with provocative work, whimsy, brains, and especially soul. Just stepping out my car I felt the power of art all around me, creativity bubbling all around…sculpture, paintings, equipment, materials, collections, junk and brilliance. So when I sat down at the table in the patio with the CULTURAS board I was stoked to learn more. This meeting was a planning session for their upcoming Synergy Festival (November 15th in Coachella), so they were looking at the line up of bands, reviewing proposals from vendors and discussing marketing and other critical details. 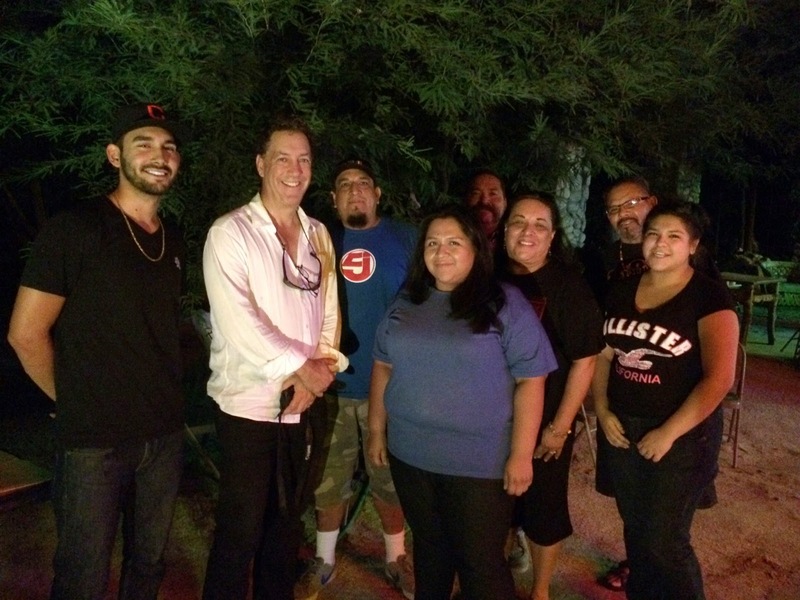 In attendance were: Oralia “Yaya” Ortiz, Mario Garcia (spoken word artist), Ruben Gonzalez, Pepe Rivera, Jack Rosales, Keila Cupil, Clarissa Camacho, and AZ (a maker of hip hop tracks and owner of a studio in the valley). I was asked to give an overview of Crisalida and then fielded questions about the particulars of the project. There was general excitement about collaboration, and I felt as though I had landed in the arms of my tribe — artists and activists who are putting rubber to the road for their vision of a better community. Mario offered to perform for us and took the neon-ringed stage beneath the stars. His spoken word performance was terrific, funky, fueled with passion and intellect. We have set up a coaching session so that I can try to help him in preparation for the finals of the Tilted Kilt Open Mic competition next Wednesday. We will meet at AZ’s studio so I will be able to hear the trax they have been producing. Both AZ and Mario told me that their intention was to make music and studio space that could/would support the community. Great young people standing up for art and community. Dang. Volunteers and donations gratefully accepted!